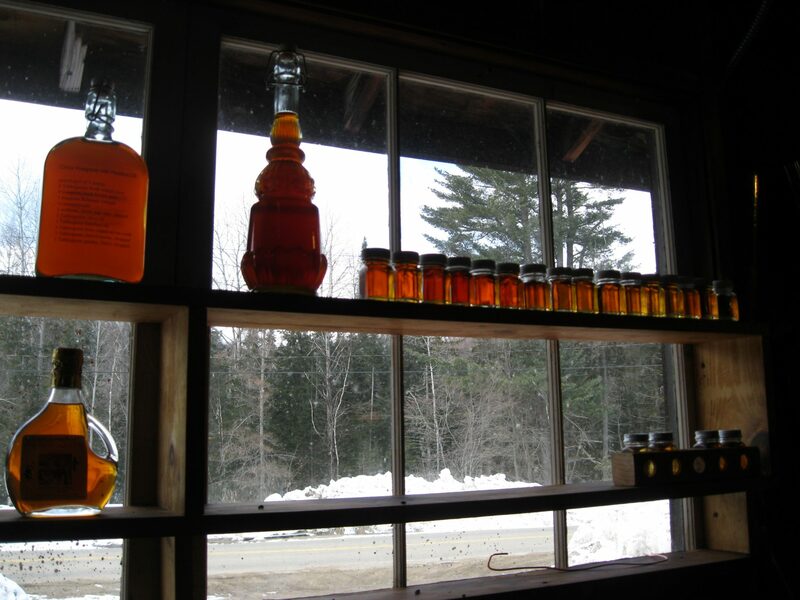 This weekend New York State maple producers are opening their doors again for visits, tastings and pancake breakfasts. This celebration of spring can be found throughout the state with many producers offering a wide range of activities as well as samplings of their tasty maple products. According to owner Pat Parker there are five generations of her family involved in her maple business. 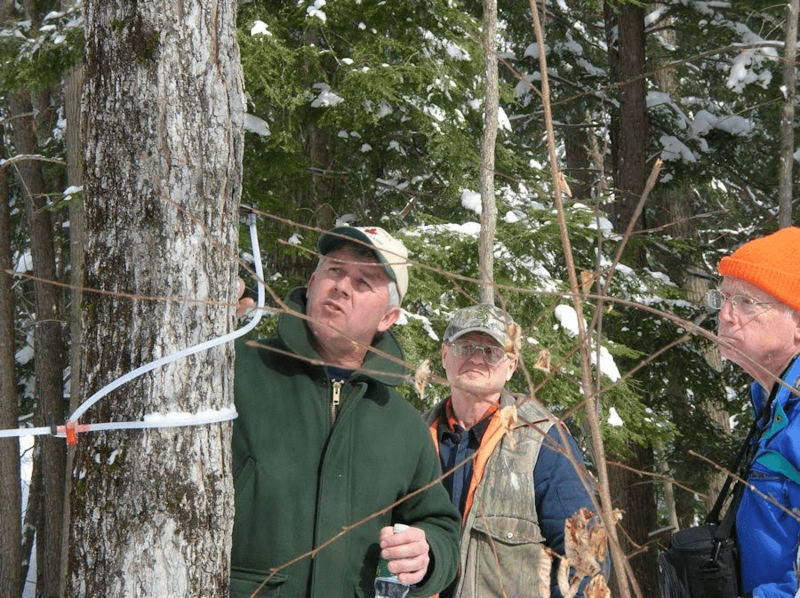 With almost 50,000 taps on 1,000 acres, the Parker Family Maple Farm in West Chazy proudly makes their local maple syrup while creating a year-round business. Parker quickly describes the commercial end of the maple industry where sap is collected through tubes and monitored through computers near the evaporator, but she speaks most passionately about the up-and-coming Parker generation learning about the care of the land and the product the farm produces. She also enjoys being able to share their maple-making knowledge with other families and visitors to the farm. 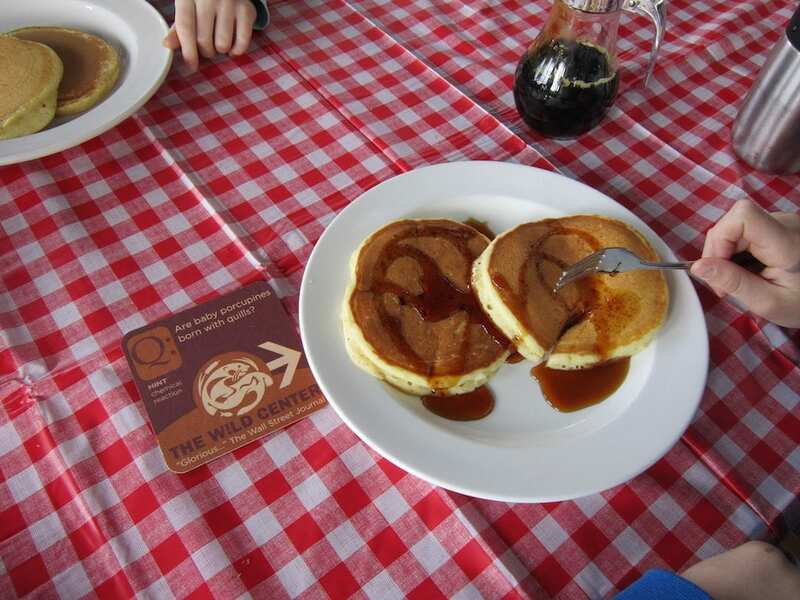 This weekend the Parker Family Maple Farm will be open for a pancake breakfast from 8 am – 1 pm. In addition to the tours and wagon rides look for face painting, pony rides, local vendors and a range of Parker maple products from maple creemee (soft ice cream) to maple cotton. If you are unable to make this maple breakfast don’t fret, Parker is serving breakfast each weekend through April 10th. Enjoy! 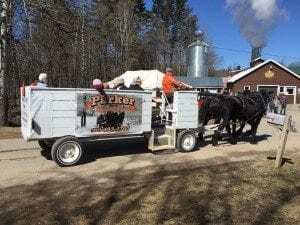 Photo of Parker Family Maple Farm wagon rides provided.